Meet Ryan. He is in France on a special mission. He is going to find out what it is like to go to school in France. Follow Ryan's blog to find out what French pupils wear at school, what they do at lunch times, what after school lunch clubs there are and much more. You can also learn some key French phrases, pick up French language tips and test your knowledge of France with the mini quizzes. Go to franklinwatts.co.uk for your free downloads of the French conversations in this book. 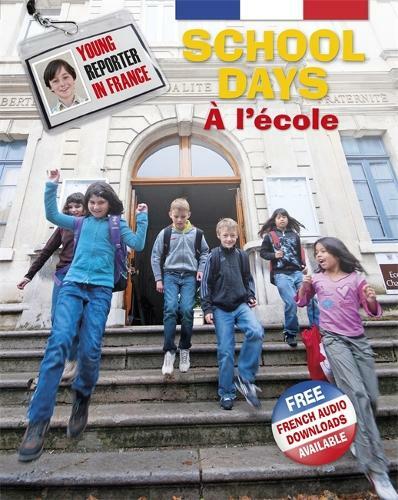 School Days is part of the Young Reporter in France series. They are a great resource for the KS2 and 3 Framework for Languages which include an Intercultural Understanding strand where children compare and contrast life in other countries with their own.